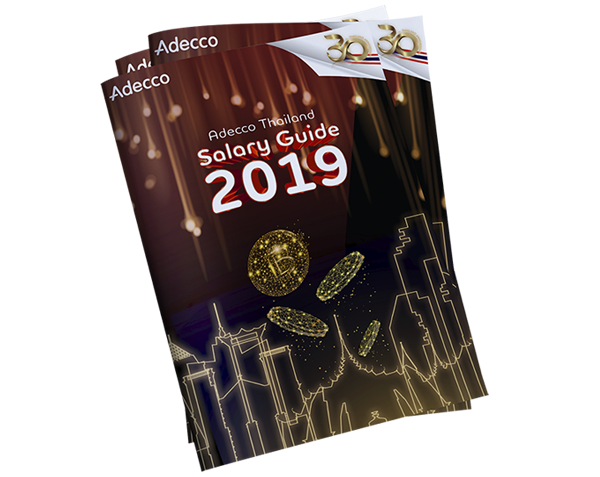 Publish every year since 2007, Adecco Thailand Salary Guide is a comprehensive overview of updated salary information from many job categories across key sectors and industries. 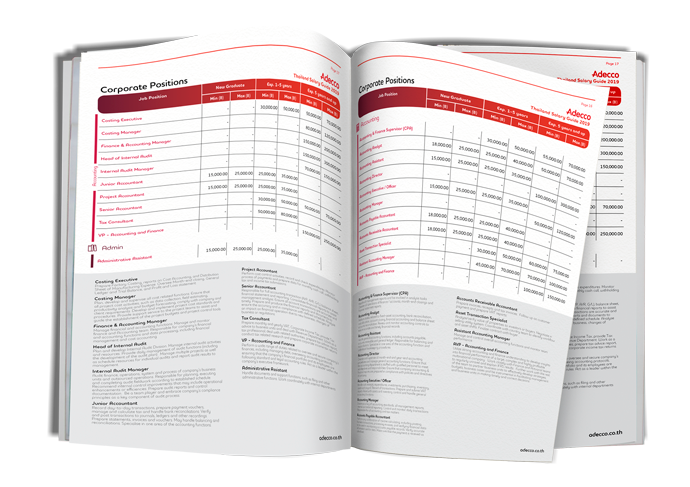 The figures and information included in this Guide are based on information obtained from Adecco experts who work with Adecco clients and candidates every day of the week throughout the year. Each salary range is derived from the demand of market in those respective positions of Adecco clients in a year and is varied from position to position. The figures shown are base salary excluding compensations and fringe benefits.